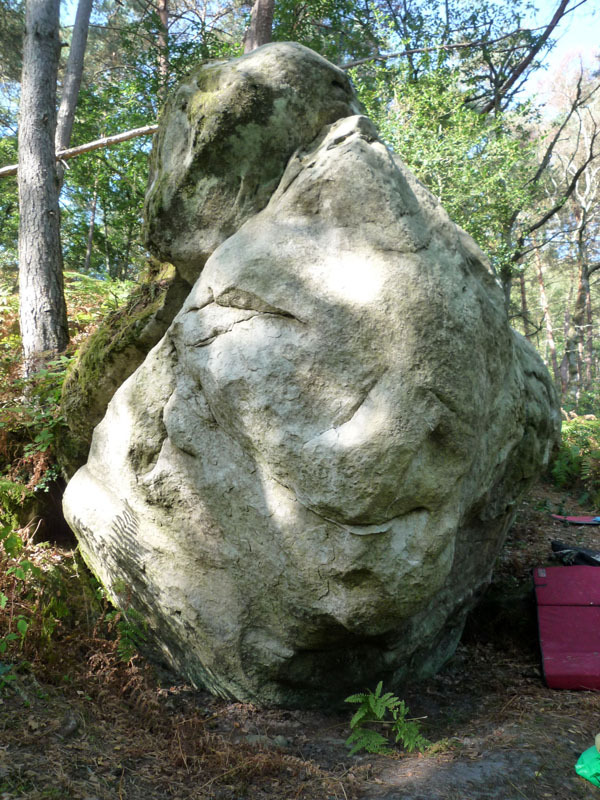 On the left angle of the boulder of Les Sables du Temps, at the beginning of the sector. Sitstart with a round crimp left hand, climb the prow and exit with the ramp on the left. NB: sitstart left at the ramp is 5c.